The Year 2012 ushered in the Feng Shui Year of the Water Dragon. The dragon likes festivals, control, wealth, comfort, concerts, antiques, and decadence. 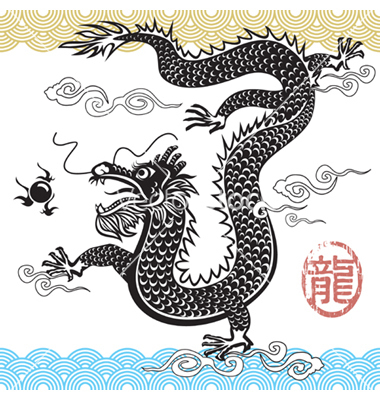 The dragon dislikes boredom, cold, dullness, hunger, hypocrisy, and quietness. Positive reading for the dragon is charismatic, generous, confident, brave, optimistic, lucky, sensitive, and worldly. Negative reading (when unbalanced) is proud, perfectionist, vain, moody, obstinate, and authoritarian. Since the earthly dragon is met with the Chinese astrology water element, we're likely to experience the dragon's more negative traits. So in the year of the dragon, dogs and rabbits will be particularly challenged. Feng Shui: In 2012, the six star comes to the center. That means the stars (numbers) rotate to their new position. The two (sickness) star comes to the North. The five (breakdown) star comes to the SE. The three (conflict) star comes to the SW.
What does all this mean? It means that certain body parts, people in our lives, and functions of life are challenged more than normal. Also, there are certain months that earth changes are very likely. What can you do? You can go to our website: www.IntuitiveConcepts.com and purchase your Feng Shui Chart. You can order our DVD, "The Energy of 2012". This lecture received rave reviews, and is priced lower than ever before (40% off). $18 includes tax, shipping, and handling.